Minneapolis: Wizards Bookshelf, 1975. Hardcover. 8vo. Red cloth with gilt lettering and decoration. viii, (2pp), 131pp, (1p ad). Frontispiece, illustrations, pictorial endpapers. Very good. Faintest of binding edgewear; faint discoloration spot on title page. A tight and attractive facsimile reprint of this 1882 study (London: Reeves & Turner), a volume in this publisher's "Secret Doctrine Reference Series." Uncommon. By JOHNSON, Carl H., Jr.
Galena: Carl H. Johnson Jr., 1977. Hardcover. Edited by Sandra J. Hirstein. Illustrations by Carl Johnson. Wide 8vo. Brown cloth with gilt lettering and pictorial gilt. x, 189pp. Numerous illustrations (many color), pictorial endpapers. Near fine. Second printing (after a first edition limited to 500 signed, numbered copies), boldly signed by Johnson in black fineline on title page. A tight, near pristine copy of this in-depth, well-illustrated architectural study of this historic northwestern Illinois city. New York: McBride, Nast and Company, 1914. Hardcover. Small 4to. Blue cloth with gilt lettering and gilt and brown pictorial stamping. xix, 329pp. Top edge gilt. 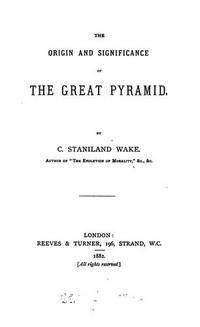 Frontispiece, numerous full-page illustrations, line drawings. Very good. Faint edgewear; ownership signature on front flyleaf. 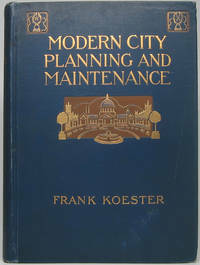 A tight and quite nice first edition of this hefty city planning how-to from the infancy of the formal study of this field. London: The Architectural Press, 1934. Hardcover. Small 4to. 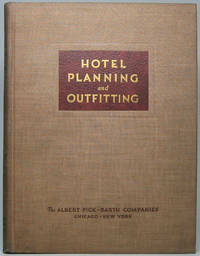 Beige cloth with red spine lettering. 199pp, (1p). Extensive illustrations, floor plans. Very good. Binding typically a bit soiled and spine age toned, though internally tight and near fine. Nice first edition of this nifty, heavily-illustrated survey of modernist architecture, featuring (among many others) designs by such mid-century masters as Frank Lloyd Wright, Mies van der Rohe, Le Corbusier, Walter Gropius and Buckminster Fuller. Paris: Ch. Massin, n.y.. Hardcover. Folio (18¼" X 13¼"). Grey cloth spine and marbled paper over boards with paper label string-tied portfolio housing 120 heavy stock rectos-only plates (+ half-title page, title page, 4pp table of contents). Extensive illustrations (1-2 photographs per plate). Overall very good. Portfolio soiled and age toned, with interior pastedowns age toned (dampstained?) near gutter; half-title page naturally shows more age toning than the remainder, which are mainly age toned about the edges, with images themselves untouched and handsome. Decent complete set of this large and lovely detailed photographic plates handsomely recording architectural details in French structures from the 12th through 19th centuries. Given their title page credit apparently sponsored by the "Musee de Sculpture Comparee (Palais de Trocadero)," the Museum of French Monuments founded in 1879, as part of their "Librairie Generale de l'Architecture et des Arts Decoratifs" series. Undated, but likely late 19th century. Scarce. New York: National Terra Cotta Society, 1925. Hardcover. 4to. Black cloth spine with gilt lettering and brown paper over boards with tan lettering. viii, 200pp. Extensive full-page illustrations. Very good. Faint bit of edgewear, with couple of corner bumps; front flyleaf an expert modern replacement. 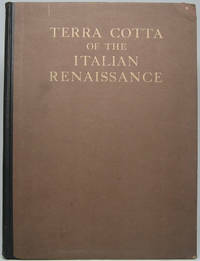 A tight, attractive first edition of this largely-pictorial history of terra cotta architectural details. Front pastedown bears the handsome custom bookplate of Anker Sverre Graven (d. 1932), noted Chicago architect whose firm Graven & Maygers is best known for a string of high-profile commissions of glitzy, opulent movie palaces and other structures in the Midwest and elsewhere in the 1920s -- structures in which terra cotta elements such as those depicted in this book are very much evident. Nice copy of an uncommon title with interesting background. Paris: Ch. Eggiman, 1913. Hardcover. Folio (20¼" X 14¼"). Tan cloth spine with black lettering and grey/green marbled paper over boards with paper label portfolio housing ii, (1p), 8pp, 80pp numbered heavy stock rectos-only photographic plates (1-2 images per plate). Good only/very good. Portfolio edgeworn and rubbed, with 3½" chip at tail of spine expertly, archivally, discreetly replaced with matching cloth and inner joints likewise strengthened with durable book tape -- thus portfolio overall tight and handleable; plates occasionally a bit edgeworn, with a few lightly soiled. A nice, and complete set of these lovely detailed architectural plates -- "Premiere Serie" -- compiled by this Italian librarian/historian/writer (1855-1925) who served as director of the Medicean Laurentian Library in Florence, among many other distinguished posts. Despite restored portfolio spine a handsome set, with all photographic plates bold and lovely. Washington, DC: The Maya Press, 1926. Hardcover. Folio. Teal blue cloth with gilt spine lettering and extensive front board gilt decorations. 250pp. Frontispiece, extensive full-page plates (some color), line drawings and floor plans. Very good overall. Binding a bit edgeworn and corner bumped, with spine lettering rubbed; bit of edgewear and closed tears to preliminary leaves, with some text page edges worn. A tight and decent first edition of this hefty, largely pictorial survey. Paris: Librairies-Imprimeries Reunies, Editeurs, 1906. Hardcover. 12-volume set. Folio (11" X 15"). Brown cloth with black calf spine labels with gilt lettering. Varying paginations (most ca. 200-400pp). Extensive heavy stock rectos-only plates. Overall very good. Mild edgewear and light age toning, with calf spine labels a but scuffed and rubbed. A, attractive, tight and sizeable gathering of this large and heavy French architectural journal, each volume laden with photographs, floor plans and other architectural renders. Each lower spine label identifies the focus of each volume -- in order: "Apartment Houses, Banks," "Barracks Churches," "City Halls," "Colleges, Court Houses, Expositions, Government Buildings," "Hospitals and Alm Houses," "Hotels, Insane Asylums," "Monuments Commemorative Museums," "Palaces Parks & Gardens Police Stations Railway Stations," "Schools," "Slaughter Houses," "Theaters, Town Planning" and "Text." A fascinating and enormous assemblage of architectural materials -- and rather scarce. Each front pastedown bears the handsome custom bookplate of Anker Sverre Graven (d. 1932), noted Chicago architect whose firm Graven & Maygers is best known for a string of high-profile commissions of glitzy, opulent movie palaces and other structures in the Midwest and elsewhere in the 1920s. The bottom of each spine bears a third, small black calf label bearing the giltstamped name of early 20th century Illinois architect C.D. McLane. Chicago: American Library Association, 1926. Paperback. 16mo. Stiff grey pictorial wrappers. 34pp. Very good. Mild wear to outer wrappers. A tight and decent first edition of the 23rd volume in the ALA's "Reading with a Purpose" series. Washington, DC: Department of the Interior, 1938. Hardcover. 4to. Green pebble-grained cloth with gilt spine lettering. ix, 200pp, v, 212pp, v, 192pp. Numerous illustrations, floor plans. Very good. Faint edgewear; endpapers a bit age toned and occasional sporadic bit of minor foxing. 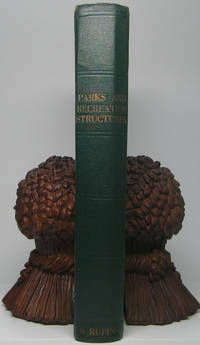 Tight, attractive and surprisingly scarce first edition of this landmark 3-in-1 study created by the Civilian Conservation Corps of the National Park Service, with Part I covering "Administration and Basic Service Facilities," Part II covering "Recreational and Cultural Facilities" and Part III covering "Overnight and Organized Camp Facilities." A sharp copy of a title almost always found only in the form of modern reprints. New York: Architectural Catalog Co, 1944. Paperback. Complete 2-volume set. Folio. Stiff green tan wrappers. (Ca. 80pp), 82pp ads); (ca. 75pp). Numerous illustrations. Very good. Mild wear to first volume outer wrappers, while second volume front wrapper soiled, else both volumes tight and internally fine. A nice pair of the May 1944 issues (Vol. VIII, No. 3) of this specialty monthly. Uncommon. New York: F.W. Dodge Corporation, 1935. Hardcover. 4to. Light blue cloth with brown lettering. Pp. 356-458. Extensive illustrations, floor plans, line drawings. Near fine. Tight and handsome first separate printing of these 100 pages excerpted from the December 1935 issue of "The Architectural Record," consisting of Kimball in the title article, Perry on "Notes on the Architecture," Shurcliff on "City Plan and Landscaping Problems" and Nash on "Paints, Furniture and Furnishings." A sharp, bright copy. By VAN PELT, John V.
New York: The Pencil Points Press, 1923. Hardcover. 4to. Brown cloth spine with gilt lettering and tan paper over boards with brown lettering and decoration. (Ca. 200pp). Extensive illustrations. Very good. Binding a bit rubbed and lightly edgeworn, though internally tight and fine. 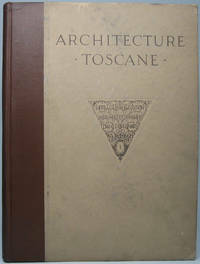 A tight, attractive reprint of the first volume in this publisher's "Library of Architectural Documents" series. "...Here all of the one hundred ten plates of the original edition, first published in Paris in 1815, are reproduced with the greatest care and faithfulness...."
New York: The Architectural Forum, 1924. Paperback. Small 4to. Heavy tan card stock wrappers with black spine lettering and front wrapper with black-embossed lettering and color plate. 97pp, (2pp). Color plate, numerous illustrations and line drawings. Very good. Spome foxing to front/rear flyleaves (only), else near fine. 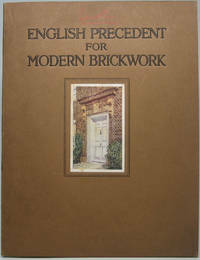 Tight, attractive first edition of this study sponsored by Chicago's American Face Brick Association. Red pencil 1926 ownership signature on title page (and initials on front wrapper) of early 20th century Chicago architect Edward W. Rupinski. By PUGIN, A., and PUGIN, A.W. Cleveland: J.H. Hansen, 1923. Hardcover. Complete 2-volume set. 4to. String-tied brown cloth spine and corners and tan paper over boards lettered in red portfolio housing heavy card stock loose sheets (title page, index and plates 1-170 in Volume I; title page, index and plates 171-337 in Volume II). Very good/near fine. Portfolios lightly soiled and faintly edgeworn only; title pages (only) a bit soiled and age toned. Handsome complete set of this large collection of detailed architectural renderings by French-English artist and architectural historian Augustus (1762-1832) and his architect son Augustus Welby (1812-52), who together helped spur the Gothic Revival of the early 18th century. This pair's two-volume "Specimens of Gothic Architecture" (1821-23) and three-volume "Examples of Gothic Architecture" (1831) are both contained in this work, here a "Complete Reprint without text." The upper left corner of every card bears the inkstamped name of "A.S. Graven, Inc.," the noted Chicago architectural firm responsible for many of that area's famed movie palaces and other structures. New York: National Terra Cotta Society, 1924. Hardcover. 4to. Black cloth spine and brown paper over boards with tan lettering. 60pp, (4pp). Color frontispiece, numerous illustrations (some color). Very good. Faint binding edgewear, else internally tight and fine. A lovely first edition of this study of terra cotta architectural decoration, with small ownership inkstamp on front pastedown of early 20th century Chicago architect Edward W. Rupinski. 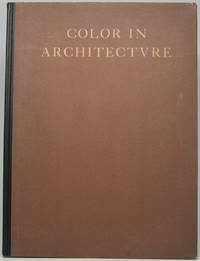 New York: The Architectural Book Publishing Company, n.y.. Hardcover. Folio (17" X 11 34"). String-tied slate blue spine and corners with tan printed paper over boards portfolio housing 42 loose heavy card stock 11½" X 16 3/4" sheets (rectos only). Good plus/near fine. Portfolio rubbed and slightly scuffed, with expert archival strengthening to spine -- complete and overall fairly attractive and handleable; top sheet (title page) slightly age toned, remainder only toned about the edges. Attractive and complete set of these detailed architectural renderings from this 16th century Renaissance palace in Rome designed by Baldassarre Peruzzi, first published in Paris by F.T. Suys et L.P. Haudebourt in 1818. Undated, but likely circa 1915. The blank verso of each card bears the inkstamped name of "A.S. Graven, Inc.," the Chicago architectural firm responsible for many of that area's famed movie palaces and other structures. 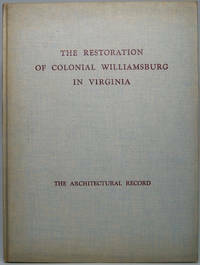 The first edition is quite scarce in complete form and even this reprint a century later very uncommon.